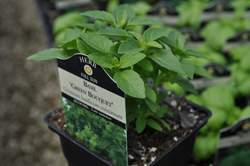 "Ocimum basilicum minimum 'Green Bouquet'"
A uniform and compact grower, Green Bouquet sports very small, full-flavored leaves that are wonderful in salads, sauces, and a wide range of dishes. Ideal for a windowsill or in container plantings. Plants require moist, well-drained soil. Find Great BASIL Recipes Here! 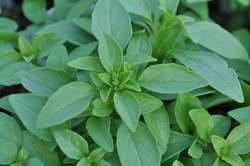 Find Great BASIL Recipes Here!